August 5, 2017 by Enxhi 2 comments on "Building a Website for Free"
A lot of people nowadays are using affiliate marketing as their business model. This trend has advanced even more due to some platforms which make creating a website a very easy and intuitive process which can be done even in less than a minute and for free. Then you will be ready to create content for it, write reviews and turn it into a successful business. 1 Where can I Build a Website for Free? 2 How to Build a Website for Free? Where can I Build a Website for Free? You can build a website for free on Wealthy Affiliate. You will just have to create a free account. You don’t need any knowledge, any code and with a platform like this you can create a website in 30 seconds. How to Build a Website for Free? The process of building a website on Wealthy Affiliate is very easy and intuitive. You just have to find a name for it and choose a theme. If you know that you want to create a website to use it for affiliate marketing but are not sure what it will be about, I have written another post about this topic which you can find here. As you saw in the above video, you can either create a website using SiteRubix or buy a domain. You can even start one with SiteRubix and after some time transfer it to a domain. 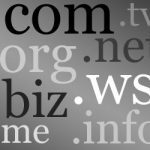 Your domain is going to be your website’s URL and your brand name. 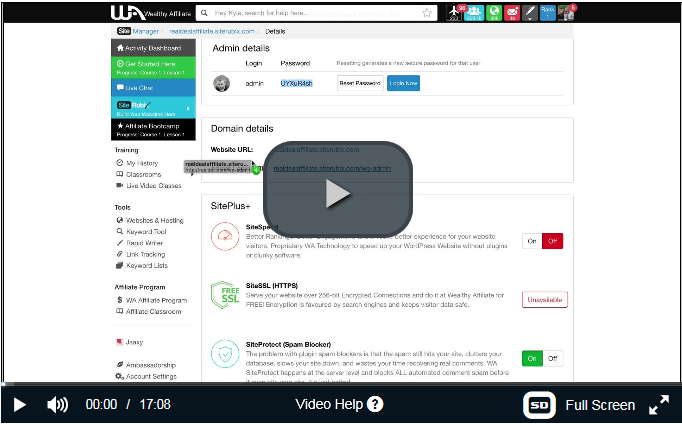 When you first search your domain name while creating a website as shown in the above video, it will show you if it available or not, if it’s not available type another version of it. Your domain name has to be without space between words. For example mine is internet-marketing-skills.com. I tried internetmarketingskills.com but it was not available. I wanted it to be with .com so I decided for this. Then you have to type your website name which is the domain name with spaces. For example mine is: Internet Marketing Skills. 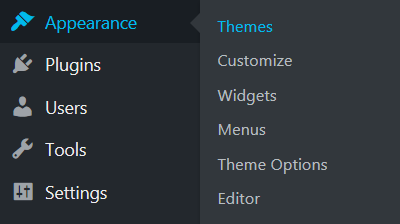 Now you have to choose a theme for your website, which is its design. You can change this later if you want. If you are curios about my theme or you want to use it too, its called Themelia. To change your website’s theme go to the Dashboard of your website, click Appearance, Themes, and Add New (in the upper corner of the screen. Then you can search the name of the theme that you want in the search box. You can also search different words and themes related to them will appear. It is advisable that when you start your website for the first time to choose a theme as simple as possible, possibly one with a white background, because this makes people focus more on the content. Sometimes themes with prominent backgrounds attract the attention of your visitors from the content. Remember that the content is the most important part of your website. It should be helpful, easy to read and understand. Siterubix uses the most advanced technology to keep your website fast and secure. I don’t understand much about technology but I know that it is the best platform out there. I created my website with Siterubix more than a year ago and never had a problem with it. 2 Comments on "Building a Website for Free"
Great post on how to build a website for free. Very clear instructions and very thorough. I have used the Siterubix platform to create a website and it is really very easy to do. In a meter of seconds you can have a website built. For me the hardest part was choosing a theme that I liked. Next Next post: How to Add a WordPress Plugin?